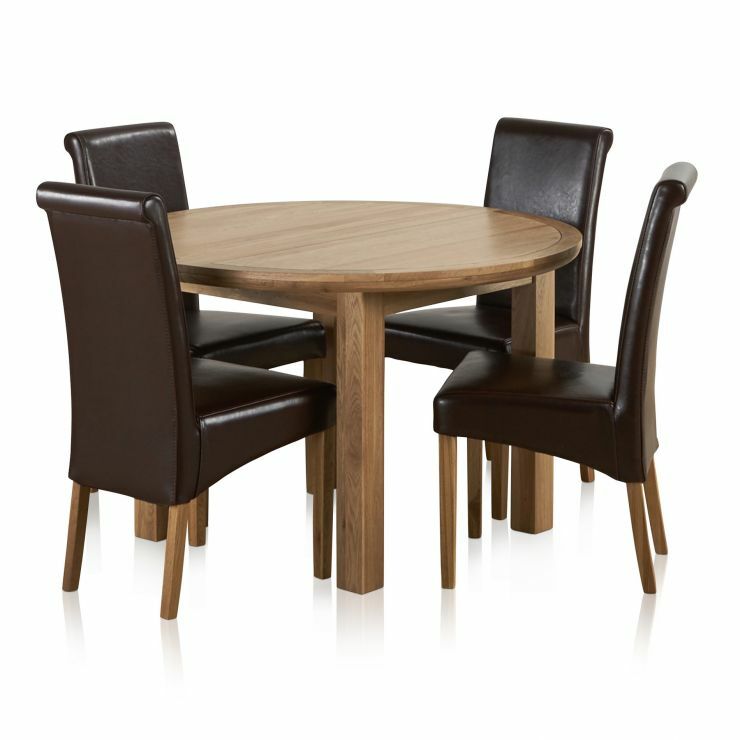 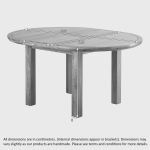 The Knightbridge Oak Round Extending Dining Table is ideal for quick snacks, family meals and social get-togethers with friends. 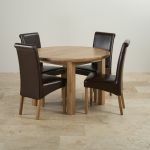 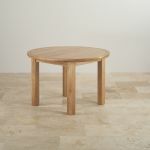 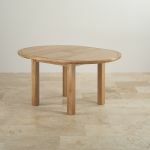 Made from high quality solid oak, it features an easy-to-use extending mechanism which adds an additional 1.3ft of table space. 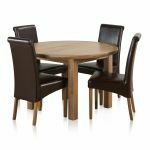 Easily fitted when the occasion demands, the two leaves simply fold and slot neatly within the body for storage. 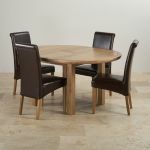 Decorated with eye-catching inlaid grooves the table is treated with a premium wax polish to enhance the grain and golden hues whilst ensuring a long-lasting, protective seal. 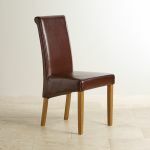 Accompanying the table are four brown scroll back chairs, generously padded for extra comfort and upholstered in the finest quality genuine leather. 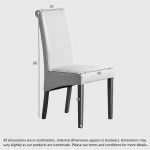 To ensure your furniture lasts a lifetime, we highly recommend you treat it every three months with our specially formulated clear wax polish.